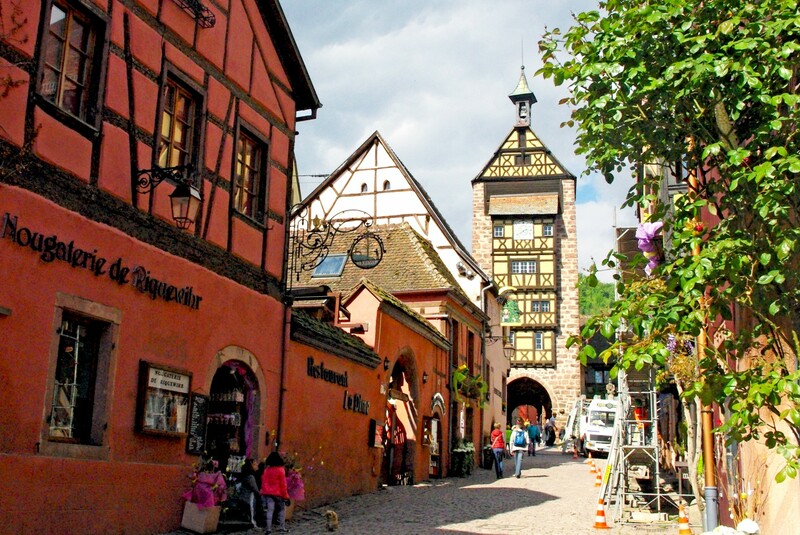 Classed among the most beautiful cities in France, Riquewihr is rightly the pearl of the Alsatian vineyards with its remarkable half-timbered houses. 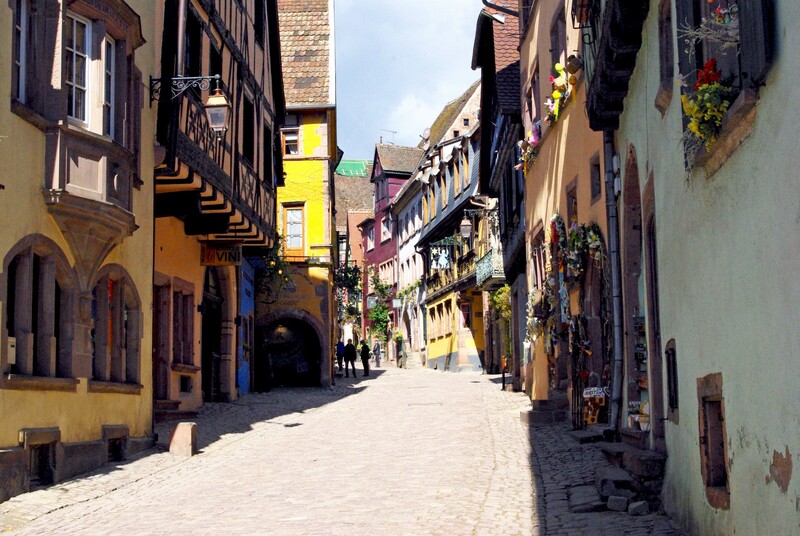 Situated along the Alsace Wine Route, the village, attracts millions of visitors each year, especially in summer and at the approach of the festive season. 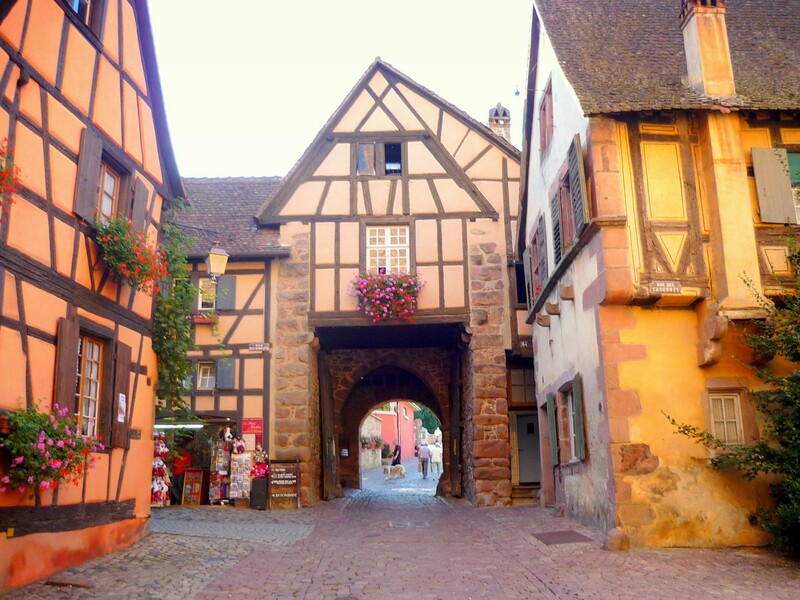 Heading towards Riquewihr, it becomes apparent that the visit to this village nestled between a wooden glen and protected from north winds by the Vosges Mountains, will live up to all expectations. 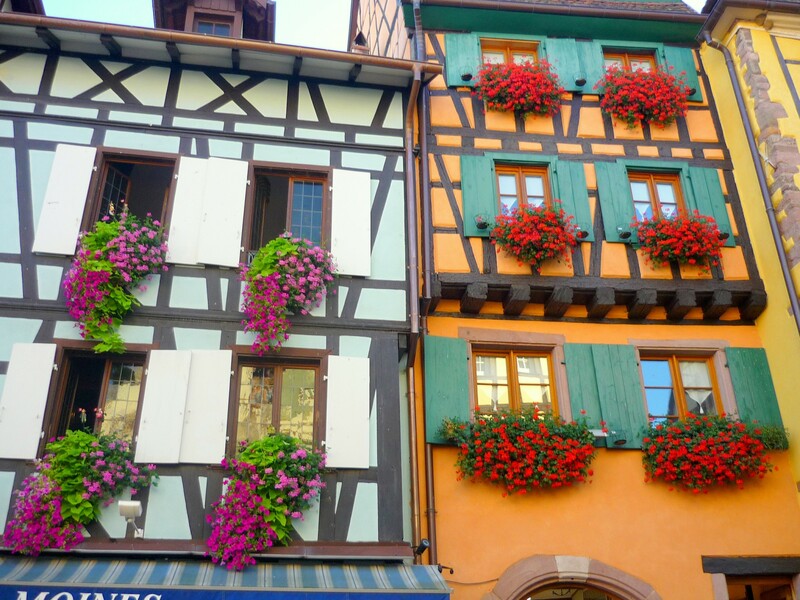 The shades of the half-timbered houses are typical of Alsace: in red, green or bright yellow, adding a very picturesque stamp to the site. The fortifications of Riquewihr, of which the ruins can still be seen, were built in 1291 by the Lords of Horbourg. They bequeathed the village and its surrounds to the Counts of Wurtemberg in 1324. Riquewihr, which adopted the coat of arms of the Counts then the Dukes of Wurtemberg (made up of three antlers) remained in their possession until 1793. In the 16th century, with the counts of Wurtemberg having converted to Protestant faith, the Reformation was introduced in the seigniory of Riquewihr in 1534. The village enjoyed a period of prosperity in the 16th century, thanks to the sale of its famous wines throughout the Holy Roman Empire and in the Hanse. The Thirty Years War would of course bring a brutal end to this prosperity. In 1680, Louis XIV’s army took possession of Riquewihr. However, unique to Alsace, the village remained under the laws and customs of the Holy Roman Empire and the orders of the counts of Wurtemberg until the Revolution. In 1796, Riquewihr was permanently joined to the French Republic by the Treaty of Paris. 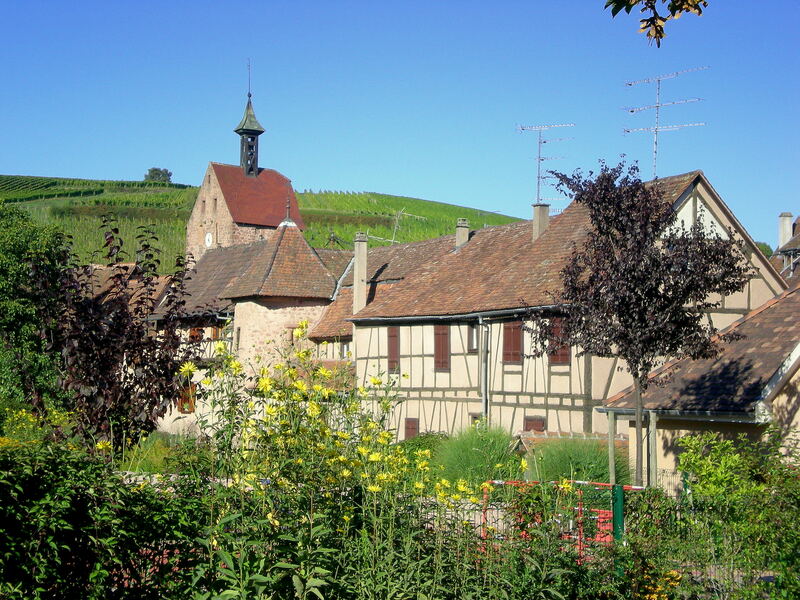 Due to its “cul-de-sac” position, Riquewihr was not as affected by the conflict of the Second World War unlike the other localities of the “Colmar Pocket”. The village is surrounded by the ruins of its ramparts from the 13th century. The main road, paved and lined with houses from the Renaissance, is framed with side alleys and charming backyards. Softly sloping, it leads to the belfry of the “Dolder”, a remarkable 25 metre-high construction, in pink sandstone from the Vosges and timber. Built from 1291, the “Dolder” was an integral part of the fortified wall and could serve to defend the village thanks to its watch tower located at the top of the belfry (“Dolder” means “the highest point” in Alsatian dialect). The inside presents a much more pleasant aspect than that of the exterior, with a cubicle with pretty timbered walls. The four storeys of the tower housed the caretaker and his family who were in charge of closing the entry door to the village every night and sounding the alarm in case of attack. Today, the first three storeys house the local museum of art and popular tradition. On the site of the “Dolder”, a huge Nutcracker stands guard at the entry of the most fascinating boutique in the village: the Christmas Shop “La Féérie de Noël”. Open all year round, the shop spreads Christmas cheer over two levels, thanks to an original interior decoration. 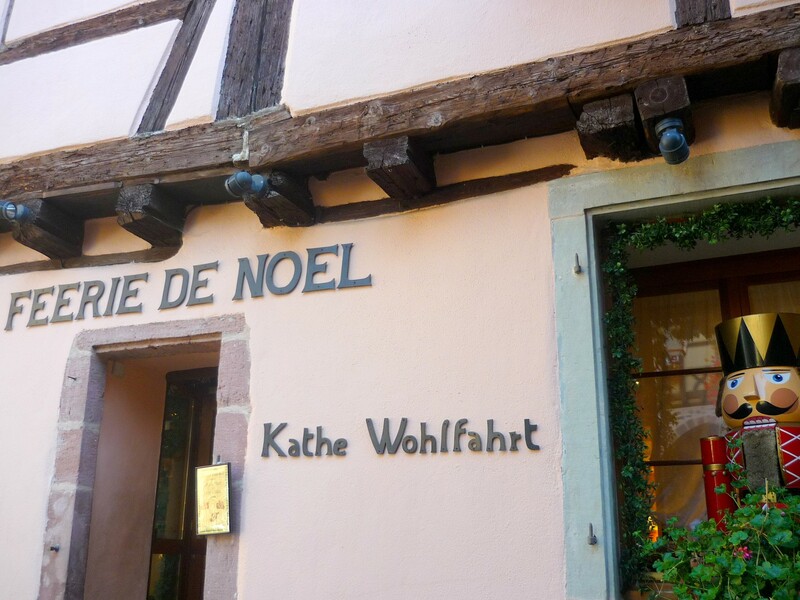 Read more about the Christmas Market of Riquewihr. The Rue du Général de Gaulle is the main street of Riquewihr, which links the Dolder to the Town Hall below. Several beautiful buildings were constructed here between 1500 and 1650 with bay windows, timbered walls, arched doors, pine wreaths or a loggia. Beyond the “Dolder”, another fortified gate, the “Obertor” (Tall Gate in German) reinforces the Riquewihr fortifications. In the 16th century, firearms technology inspired inhabitants to reinforce their security with the construction of a second fortified wall. The gate is equipped with a drawbridge as well as a massive wooden double flap gate, one of the oldest that is still visible today in France. The Tour des Voleurs was built in 1550 and overlooks the ramparts. Its pentagonal shape is 18 metres high. Inside, it houses the museum of the Tour des Voleurs, witness of the sombre medieval past where the criminals were tortured to death. You can visit the torture room with authentic instruments of the time. The museum can be accessed from the Cour des Juifs. Check out the website of the Riquewihr-Ribeauvillé Tourist Office. 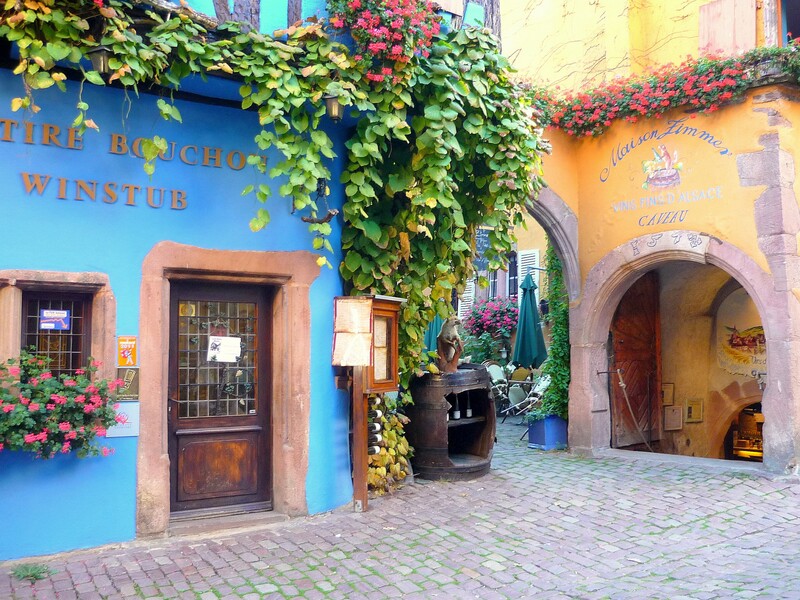 Have you been to Riquewihr? 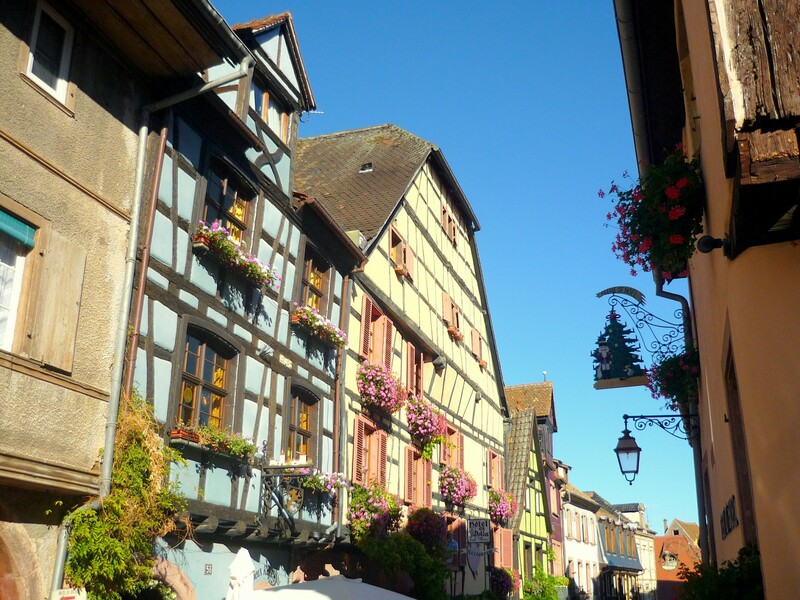 Which are your favourite Alsatian villages?